The Young People's Chorus of Erie and the Erie Chamber Orchestra have given students special opportunities in music over the past week. On Friday, The Young People's Chorus of Erie stopped by and sang songs with some of our students. Our students rang bells, listened to the piano, and cheerily belted out lyrics to several songs. The hit of the day? "This Land is your Land" by Woody Guthrie, that came complete with special hand signs. 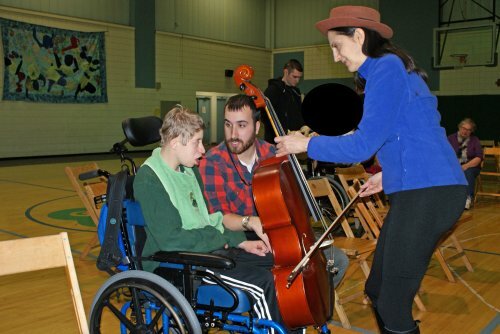 Monday, the Erie Chamber Orchestra brought in a viola and cello. 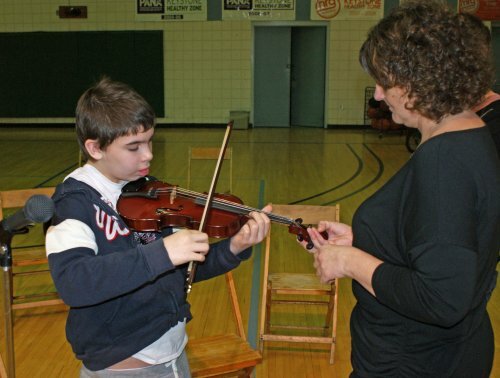 Musicians Ruth Ann Scanzillo and Jennifer Jensen played the instruments for our students before giving them the opportunity to play the instruments themselves. We thank both organizations for their continued support of the Barber National Institute, and look forward to a continued partnership.